The media’s spotlight has been shining on pool fencing of late, with pool safety at the top of everyone’s mind. While swimming pools are the epitome of summertime fun, the dangers associated with non-compliant swimming pools are well known. We are constantly reminded to check and maintain backyard swimming pool fences so they meet safety standards – but what does that mean? 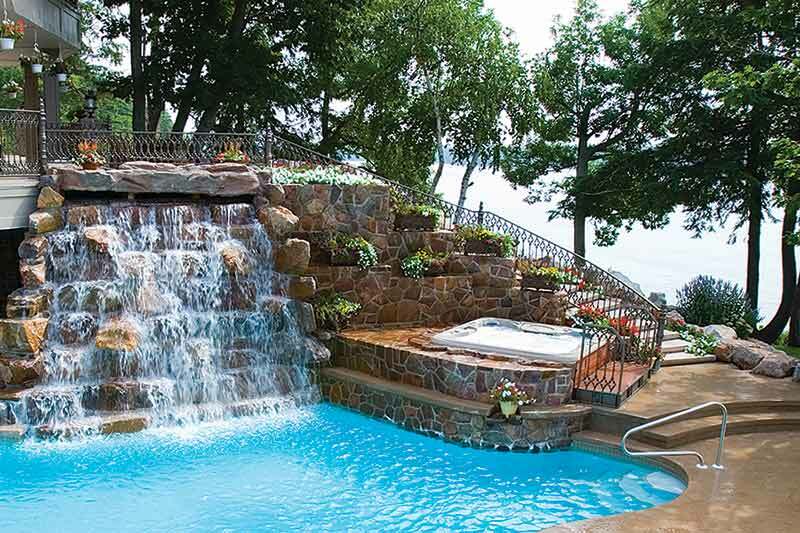 Laws in each state specify minimum safety requirements, varying on the date the swimming pool was constructed. Enforcement of these laws is the responsibility of council with non-complying pool owners facing tough penalties and fines. All swimming pools (including inflatable pools and paddling pools) or spas with more than 30 centimetres of water require a compliant safety barrier. The fence must be at least 1.2 metres high. Ground levels that rise over time such as garden beds, trees and shrubs can make a fence non-compliant. The fence must not leave a gap of more than 10cm from the ground level to the bottom of the fence. Gates to the pool must be self-closing and self-latching. The gate latch must be at least 1.5 metres from the ground. ‘Non-climbable zones’ must be in place and free from objects that can be climbed on to get over the fence, such as furniture, plants and trees.